1. After a ridiculous amount of time and stress over my feedburner feed not updating (apparently it hadn't updated for a year and a half, which is a big issue especially since I had no clue and especially with Bloglovin'), I think I finally got it straightened out....which means you can can now follow me on Bloglovin'. Well, not that you couldn't before, but at least now you'll see more than a freshly post-partumed momma with awfully short hair in an awkward, first ever outfit post. 2. Since fielding some questions about this BEST OF series, yesterday I clarified a few details about it. Basically, the BEST OF looks are my picks of what I'm digging around the blogosphere...and I categorize them. 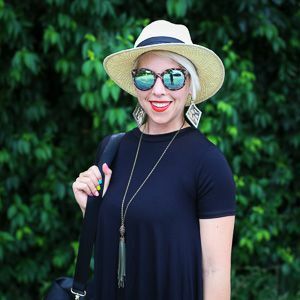 The link up is open to any and all posts style-related (not Best Of theme-related...but you can if you want to). I would hate for anyone not to link up because they thought it had to be a certain topic-related post. Glad we had this talk. Okay! So on to this week's BEST OF looks!!!!! 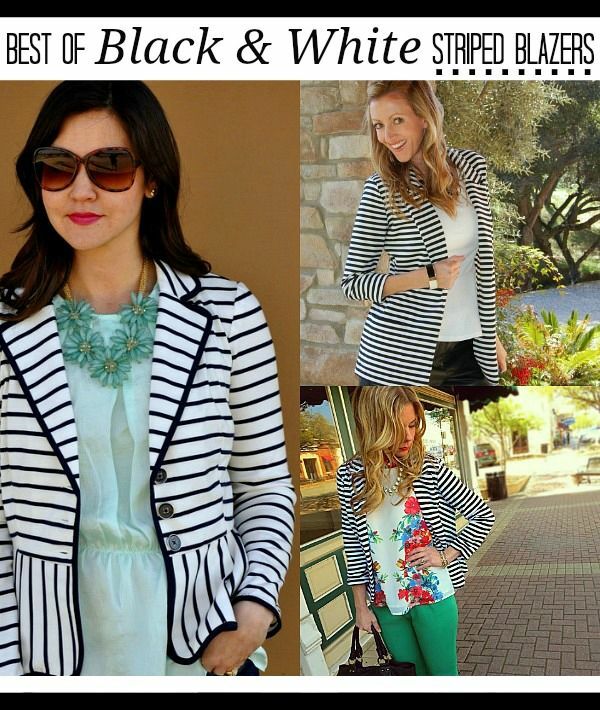 A new(ish) trend this spring is the black and white look. Not that B/W was ever not in style, but designers have especially concentrated on pairing the two as of late....mainly with stripes. We all probably own a black and white striped top or two, but what about a blazer? 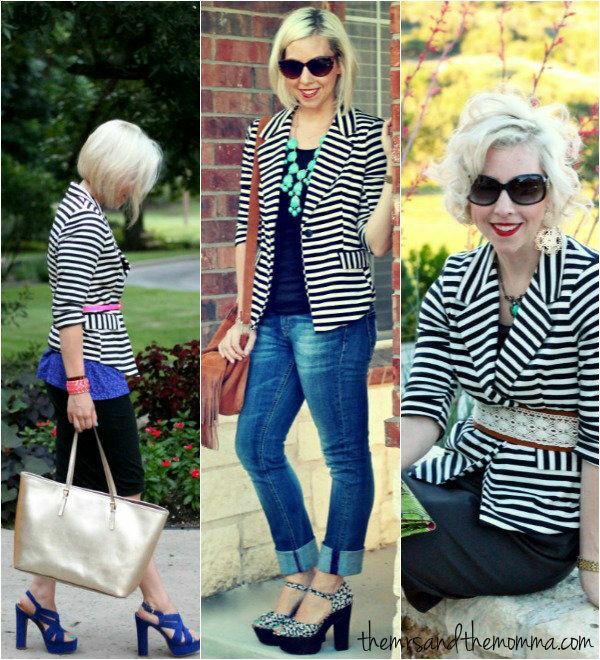 A black/white striped blazer is such a classy and edgy look at the same time depending on how you wear it! Have you gotten your hands on one yet?